The Jeep Grand Cherokee Laredo is in a league of its own, and when you pay a visit to your friends at Dakota Chrysler Center, you can get a great price on a model that has it all. This off-road-ready SUV will help you get more out of every road trip, but unlike many of its similarly adventurous competitors, the Grand Cherokee offers an upscale interior with exciting standard features and capabilities. It’s well-equipped, efficient, and safe for families of all sizes, so don’t wait any longer to find out if it’s right for you. Take the Jeep Grand Cherokee Laredo for a test drive in Wahpeton! Choose Your New Jeep Grand Cherokee Laredo Today! If you’ve been waiting for the chance to upgrade your ride, then your wait may finally be coming to a close. 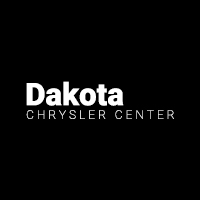 Our offers and incentives distinguish Dakota Chrysler as one of the most driver-focused dealerships in the area near Breckenridge and Fargo. Once you’ve seen what we can do, you won’t have any trouble understanding why we earned a Customer First Award for Excellence in 2018. Contact one of our expert representatives to take your turn behind the wheel of the Jeep Grand Cherokee Laredo that you’ve always wanted. While you’re here, check out our guide to the Jeep Grand Cherokee towing capacity and technologies.